Have you heard of DE SMET yet? If not, now's your chance to become familiar with this beautifully minimal label with a conscious. I spoke with DE SMET's owner and designer, Christina De Smet about sustainability and her tips for streamlining your closet. How did you find yourself becoming a clothing designer? Growing up, my family always encouraged my creative side. My grandparents taught me how to sew and paint while my mom nurtured my love of art and creative writing. It was inevitable that I would end up in a creative field, I just had to pick my medium. I dabbled in photography, fine art and writing but my love for creating items that were not only aesthetically pleasing but functional was the ultimate reason why I turned to fashion. Sustainability is paramount to your work, what is some advice you would give others to promote sustainability through their wardrobe choices? My number one rule is: buy less but better. This is a simple start to promoting sustainability through your wardrobe choices. Fast fashion is the second dirties industry in the world next to big oil, so opting out of the fast fashion cycle is a great start. Invest in pieces you can wear for more than one occasion, one season and one year. This is my design approach for DE SMET. I think about what women want to wear now, but also about how these clothes can live in your closest for years and dress you for many occasions. Buying used clothing is also a great way to build a sustainable wardrobe. I personally find great designer pieces on The Real Real. You don't have to sacrifice style to be sustainable. What's in your own closet? Do you wear a lot of your own designs or is it easier to buy for yourself? My closet is full of pieces that make up my personal uniform: great button down shirts, soft silk blouses, vintage denim and boxy blazers. I also layer sweaters, skirts and dresses into the mix when the weather permits. I wear a lot of DE SMET, but it's all about balance. Mixing old with new, high-end designer pieces with well worn-in vintage. I've also recently been gravitating towards lighter neutrals to punctuate my mostly black wardrobe. What are some other sustainable brands that you love? I love Veja sneakers. 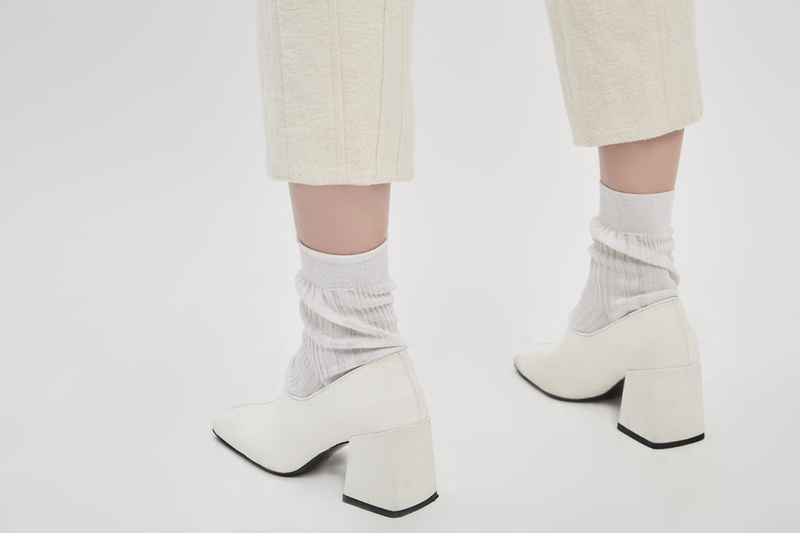 They focus on using organic materials, fair trade sourcing and transparency and they even offer vegan sneaker options. They are also well designed, comfortable and reasonably priced. Coyuchi is a great brand for organic linens. From organic cotton bedding to linen napkins, they offer simple designs while keeping the planet in mind. I am a huge advocate for clean beauty products and a current favorite is the mascara from Kjaer Weis. It is certified organic and they also have sustainably designed packaging. I love the idea of a capsule wardrobe, I even talked about it a few months ago here... but it's easier said than done. As someone who appreciates minimalism in all aspects of life, this is one area I struggle with keeping truly minimal. What is a good place to start in you're a clothes horse like me? The best place to start is by editing your existing wardrobe. Donate or sell anything that doesn't fit properly, pieces that are worn out beyond repair or things that haven’t been worn in one full year (or more). At this point, take an inventory of your wardrobe. What do you constantly gravitate towards when getting dressed in the morning? What is your favorite outerwear piece, your easiest everyday shoe? This will help identify what pieces make up your capsule wardrobe and what pieces you are missing. Next, go on a shopping diet. Only allow yourself to buy one new piece of clothing (or accessory) each month. 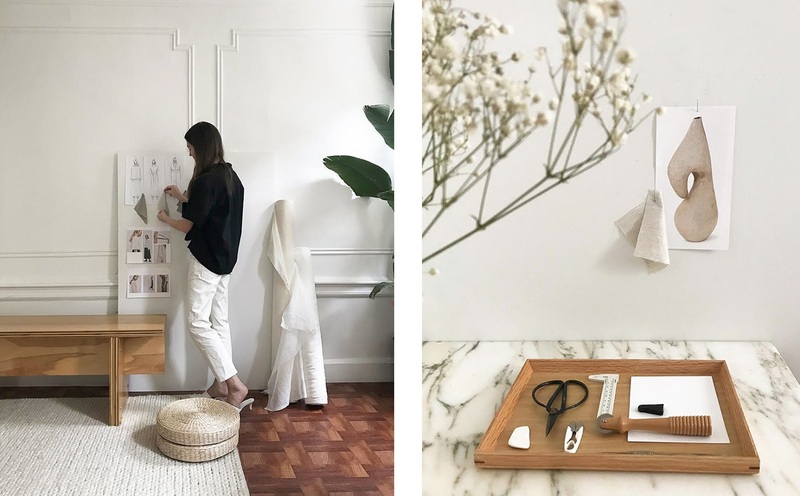 This is how I began building a capsule wardrobe and this essentially ignited the idea for the business structure of DE SMET: a perennial wardrobe crafted and released one piece at a time. 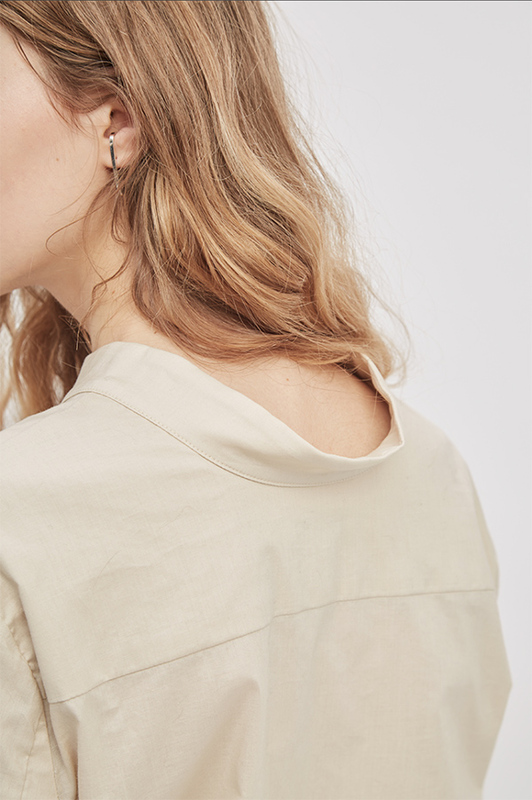 If you look back at how much money you spend on fast fashion items in one month, and alternatively take that money and invest in one beautiful piece, I guarantee it will be a more satisfying purchase. Limiting yourself to buying one wardrobe piece a month makes you a more conscious shopper. It makes you more thoughtful: How is this white shirt different from the six hanging in my closet? Does it serve a different purpose? Is this really what I need right now? This is the ultimate way to becoming a more mindful consumer and a great start to building a sustainable capsule wardrobe. A big part of the role of a designer, across many disciplines, is problem solving. What sort of issues do you hope to solve with your work? DE SMET clothing is thoughtfully designed with longevity in mind, offering styles that are seasonless, ageless and versatile. I hope DE SMET offers women an alternative to fast fashion. Statistically, the average consumer is now buying 60% more clothing compared to the year 2000, but keeping each garment half as long. I want to promote a slow and natural accumulation of lasting wardrobe pieces. Your clothes should work for you, they should serve more than one purpose. You live in NYC, how does the city inspire your designs? How does this lifestyle play a role in your pieces? New York City inspires my designs in many ways, from textures and color, to fit and silhouette. But mainly, living in New York has made my designs more thoughtful, with functionality and versatility at the core. There's no room in a woman's wardrobe for clothes that don't fit or function. As most women can attest, we have many things to do in a day, and we don't always have time to go home and change. DE SMET garments are designed to work with you, from meetings and grocery shopping to dinner and drinks. A lot of our pieces are reversible (Reversible Wool Pullover and Reversible Wrap Skirt) or offer styling options that alter a silhouette from relaxed and casual to buttoned up and sleek (Button Up Convertible Dress and Structured Sleeve Adjustable Dress).